When you consider everything the thriving North Surrey area of Fleetwood has to offer potential home buyers, it's no wonder that Fleetwood real estate is in such high demand. The community is clean, sustainable, and ideal for families due to the wide selection of quality schools, parks, and entertainment for the whole family. You can visit Fleetwood Park to hike in nature, enjoy a picnic, or watch your kids frolic on the playground during the day, then enjoy one of the many great dining options such as the Old Surrey Restaurant in the evening. Best of all, you can enjoy these amenities while living in a home that is sure to meet your needs, as Fleetwood homes for sale include an equal balance between single- and multi-family homes. 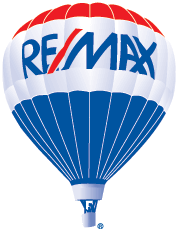 There are more details on the Fleetwood real estate market further down the page. You can also check out the latest listings in the area. To make your home search even easier, register with top Surrey REALTOR® Robbie Johal to see every listing on this website and unlock access to other benefits. For example, you can save your favorite listings, receive emails when a new home within your search criteria hits the market, and more. Sign up for free today! There are a wide variety of homes for sale in Fleetwood. According to census statistics, about 45 percent of the Fleetwood real estate market consists of single-family detached residences, an additional 45 percent of the market is either townhouses, row houses, or duplexes, while the remaining 10 percent are apartments or condos. When you combine this with the plethora of activities and entertainment options for all demographics, there's no reason why you shouldn't want to live in either this neighborhood or other communities with similar benefits such as Clayton and Cloverdale. Single-family detached homes in Fleetwood are great for families of all budgets, as there is plenty of diversity in the size and price. The single-family market here includes everything from one-storey ranch-style homes to two-storey traditional homes with upwards of four bedrooms and four bathrooms to sprawling estates with more than enough space for multiple generations to make live in style! The fact that virtually every single-family home in the area has been built on a sizeable property with generous yards is a huge benefit as well. Plus, you're surrounded by trees and green space throughout the community. But while the single-family houses in Fleetwood are certainly gorgeous, the variety of multi-family homes here are a big reason why the population seen a big increase in recent years. A large number of new townhouse developments have been built to accommodate the growing number of residents and even more are in the planning stages. These modern homes are both stunning and practical, with pristine exteriors and beautifully designed interiors that have plenty of young families and professionals eager to buy. You'll also be impressed with the spacious condos available in Fleetwood, as many offer luxurious interiors and are located close to multiple public transit stops. As mentioned earlier, there is no shortage of fun activities and amenities in the Fleetwood area. Perhaps the most notable highlight is Fleetwood Park, which features a 1.8-kilometre nature trail that loops around the park and takes around 30 minutes to complete. The park also includes large grassy areas to relax on, as well as sheltered picnic areas, a playground, and a spray park that is open in the summer. There are a number of festivals and cultural events that take place in Fleetwood throughout the year as well. Among them is the annual Fleetwood Festival, which features a myriad of performers, games, and activities for all ages. The neighborhood is also not far from the Surrey Canada Day festivities and the home of the Surrey International Children's Festival. Other benefits in Fleetwood include the large selection of restaurants, shopping centres, and schools, with almost every home in the neighborhood being within walking distance from at least one grocery store and educational centre. If you're looking to buy or sell in Fleetwood, contact local expert Robbie Johal today. Robbie specializes in Surrey real estate, with a particular emphasis on attractive family-friendly communities like Fleetwood, Cloverdale, and Clayton. Talk to Robbie if you're looking for excellent knowledge about the local market and the most dedicated service.